Which weight vest should I buy? As I wrote above, weight vests come in all kinds of varieties. To keep things simple, I limited my choices to vests that could hold at least 20lbs of weight. I mainly chose 20lbs since it’s a popular weight for Hero WODs like Murph, but I also think it’s a good weight that hits the sweet spot between not-to-light and not-to-heavy for most people. I also limited my choices to the most compact designs I could find, in order to reduce the impact on mobility. No sense wearing a weight vest if I can’t even do my regular workouts! I’ve either bought, begged, or borrowed all of them and put each one to the test. 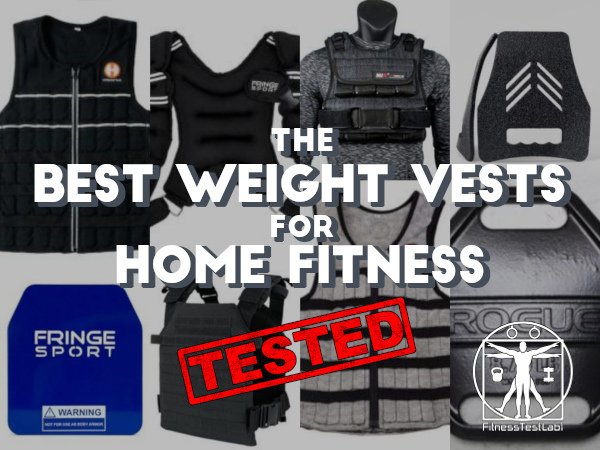 So without further ado I present to you the best weight vests for home fitness! 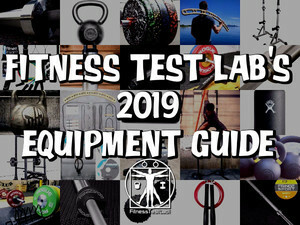 What follows is a full review for each of the vests, plate carriers, and weight plates I’ve tested. 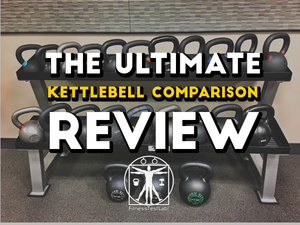 For reference, I tested all of these options doing workouts with my office kettlebell club. 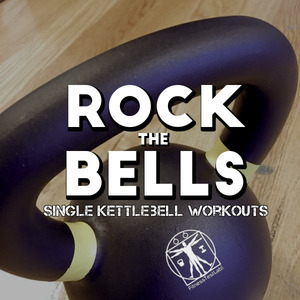 All of our kettlebell club workouts are documented here in case you’re interested in some single-kettlebell complexes designed to be done in 30 minutes or less. I also tested these weight vest options while running, both outside and indoors on a treadmill. The Hyperwear line of weight vests are quite possibly the most innovative designs on the market. 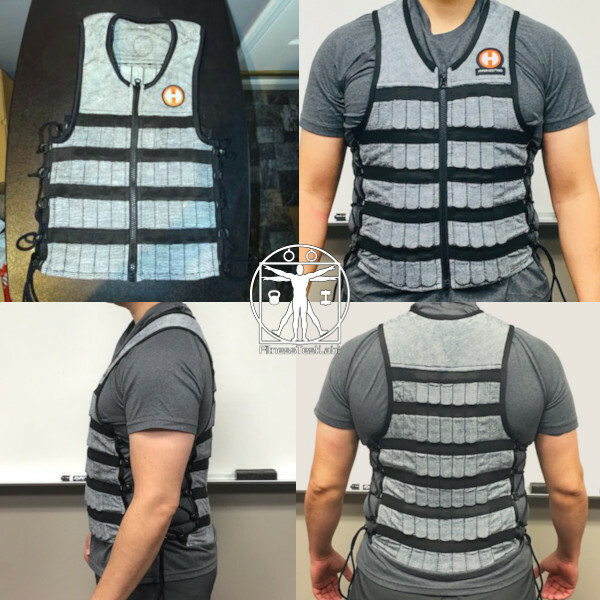 The original Hyper Vest Pro introduced a design utilizing many small weights distributed evenly in pockets all over the vest, instead of fewer larger weights or weight plates used by competing designs. The result is a vest that provides an amazing amount of comfort and mobility, in a low profile form that can be worn under clothing. I’ve worn this vest to work a few times under a cashmere sweater and no one could really tell it was there. Or, at least no one mentioned it to me. By now my coworkers are used to seeing me roam the halls with all sorts of strange looking gear, so they may have kept their comments to themselves. The Hyper Vest Elite is the second-generation design of the Hyper Vest Pro, designed for more intense use. The Elite is made of Cordura, which is basically nylon with extremely high tensile strength. In non-nerdy terms, that means this fabric is tough. Cordura may not be as stretchy as the material used in the Hyper Vest Pro, but unlike the Pro, there is pretty much zero chance of the fabric tearing through normal use. I’ll just get this out of the way up front – this is the best weight vest option I’ve tested. It’s comfortable, it offers unparalleled mobility, and the weight level and distribution can be customized exactly how you like them. It’s also very easy to put on and take off, thanks to the zippered front. However, I do have some nits to pick. Nothing deal-breaking, just stuff you should be aware of. First, adding and removing weights is tedious. 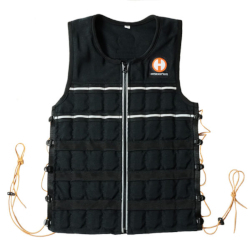 The vest comes loaded with 10lbs, and each individual weight weighs 2.25oz. This means loading the vest up to a full 20lbs requires adding seventy-two(!) additional weights to the vest. 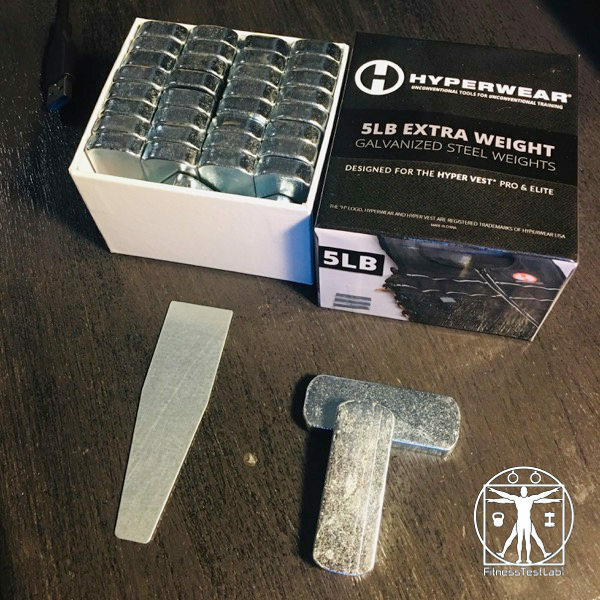 Even with the insertion tool included in every box of weights, adding or removing large increments of weight is not something you’ll want to do often. 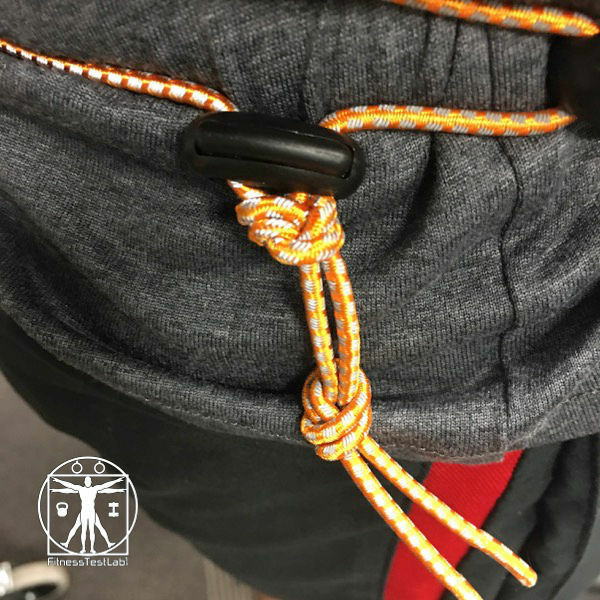 Second, the elastic cording on the sides are held tight using plastic spring clips, but the spring tension isn’t strong enough to hold the cords in place during exercise. I found myself having to retighten the cords multiple times during a workout, until I remembered a suggestion made to me by an employee at Hyperwear to tie a simple knot in the cord below the spring clip. I had no problems with the cords after that. It would be great if the spring clip was stronger, but once you find your fit and tie a knot under the clip you probably won’t need to mess with it again. Third, the fit is a bit long for people like myself with short torsos. I use a medium sized Hyper Vest Elite and the bottom row on the back of the vest extends down below my waistline. The weight in that bottom row kept forcing my shorts down during workouts, and I kept having to pull them up. Not cool! This annoyed the heck out of me, till I tried removing the weights from the bottom row and redistributing them to other pockets. Problem solved! So yeah, the Hyperwear Hyper Vest Elite does have some quirks. However, it’s still the best weight vest option I could find for crossfit or general weight vest training. The Hyperwear Hyper Vest Elite is the most versatile weight vest option I could find. The Hyper Vest Elite is durable, allows a high degree of mobility, and the weight can be adjusted exactly how you like. 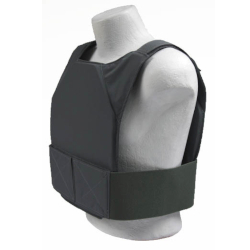 If durability and mobility are the most important factors for you, this is the vest you want, hands down. As I stated in the review for the Hyper Vest Elite, the Hyperwear line of weight vests quite possibly the most innovative designs on the market. 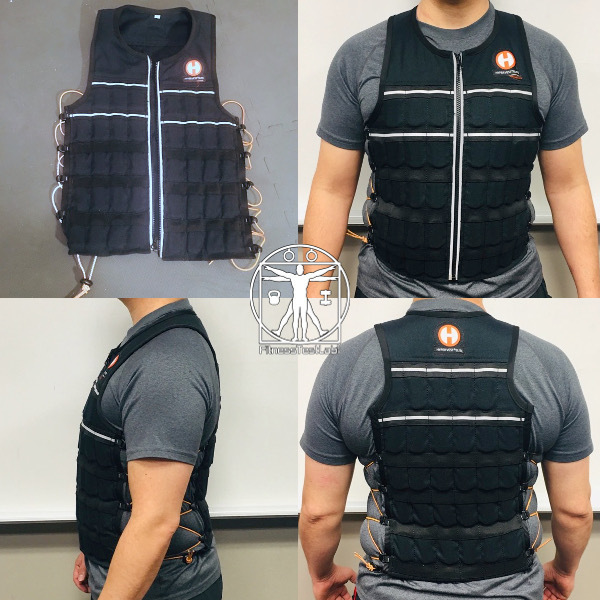 The Hyper Vest Pro introduced a design utilizing many small weights distributed evenly in pockets all over the vest, instead of fewer larger weights or weight plates used by competing designs. The result is a vest that provides an amazing amount of comfort and mobility, in a low profile form that can be worn under clothing. The Hyper Vest Pro is very similar in design to the Hyper Vest Elite I covered above, so rather than rehash many of the same points I’m just going to focus on the differences. The Hyper Vest Pro is made of a stretchy odor-resistant wicking fabric that is extremely comfortable to wear, even more comfortable than the Elite. The downside of this material is that it isn’t as durable as Cordura. If you read enough online reviews for the Pro, you’ll eventually come across someone complaining about tears in the weight pockets. I can’t speak to all of these complaints, but from what I’ve read they typically happen to people who consistently train hard with a full 20lbs of loaded weight. To be perfectly clear, the Hyper Vest Pro is very durable and will hold up to intense use. But, even the toughest fabric breaks down over time with consistent hard use and let’s face it – some people are just more intense than others. You know who you are, you animals! I like this vest a lot – the Hyper Vest Pro is the most comfortable option I tested, mainly because of the stretchy nature of the Pro’s fabric. This vest feels more like a heavy article of clothing than a piece of fitness gear, and is even less noticeable under loose clothing than the Hyper Vest Elite. The Hyperwear Hyper Vest Pro is the original Hyper Vest design. It’s made of a stretchy fabric that makes the Pro more comfortable than the Elite, but not as durable for extended hard use. 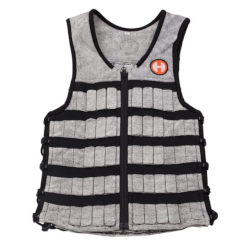 If you are looking at this vest for frequent use in CrossFit WODs with 20+lbs of weight, go with the Elite instead. Otherwise, if you just want a comfortable vest for use with running, biking, hiking, or the occasional WOD, the Pro is a very good option. 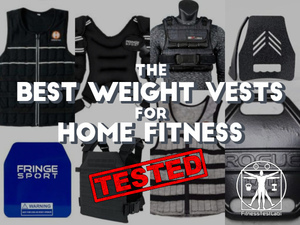 The Fringe Sport WODmaster weight vest is the first weight vest I tried when looking at weight vest options. It’s a simple design and relatively affordable, what’s not to like? The WODmaster comes in two sizes and has three points of adjustment – two straps in front and one on each side below the armpits. The fit is very much like a backpack or rucksack, which is good and bad. Good, because the WODmaster is easy to put on and secure. Bad, because like a backpack, I was never able to secure it well enough to stay put during running or jumping movements. There just isn’t enough velcro on the adjustment straps under the arms to tighten the fit the way I want. Granted, larger people might be able to secure the straps well enough to where it won’t move. However, I tested the smaller of the two available sizes, and at 5’8″, 180lbs I could never get the vest tight enough to avoid bouncing during runs or jumping movements. Another drawback to being unable to securely tighten the vest was having all the weight supported by my shoulders instead of partially supported by my torso. Have you ever had to run with a heavy backpack on your shoulders? The feeling of running with the WODmaster is very similar, although the weight is better distributed than a backpack. The WODmaster is a decent option for adding weight to your daily routine, but I don’t think it’s suitable for running or exercises involving jumping movements, at least not for smaller people. 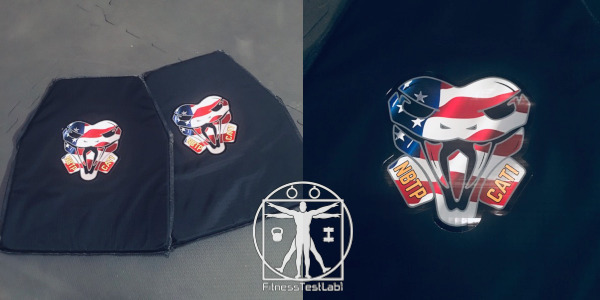 The Fringe Sport WODmaster is the simplest design and most affordable vest of the options tested. Putting it on is as easy as putting on a backpack that weighs 20lbs, but the limited amount of fit adjustment make this vest unsuitable for smaller individuals. This is a good vest for use in walking, hiking, and biking. I did not find this vest to be good for running or intense exercise since it’s hard to secure tightly around the torso. As a result, the weight bounces quite a bit with each stride. The MIR Air Flow Adjustable Weighted Vest makes use of a weight “brick” design similar to vests from several other companies. The MIR stands out by being machine washable, which makes this vest easier to keep clean than some of the other options I tested. The MIR has two rows for bricks on the front and back, and each brick weighs 3lbs. It doesn’t take many bricks to get to 20lbs, so there are plenty of extra pockets left over to increase the weight up to 60lbs if desired. The fit is good overall, but the torso straps design needs a rethink. The velcro for tightening the torso straps runs from front to back, which makes them difficult to tighten fully without another person pulling them behind you. 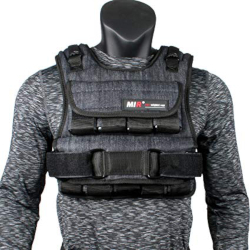 The MIR vest works well for WODs in general, although I’m not a fan of this vest for running. The bricks have a tendency to bounce left to right while running, which as a man is very unpleasant and the closest I ever intend to come to needing a sports bra! As for mobility, this vest always felt kind of bulky and awkward to me. The bricks are as big as bars of soap, and since it doesn’t take very many of them to reach 20lbs it’s hard to distribute them in a way that feels natural. None of the other adjustable options I tested had this issue. I also think the MIR Air Flow vest was one of the less breathable options I’ve tested, despite having “Air Flow” in the product name. I don’t know what material the MIR is constructed from, but it feels like a thick nylon, close to denim in density. Whatever it is, it absorbs sweat and gets hot quickly. 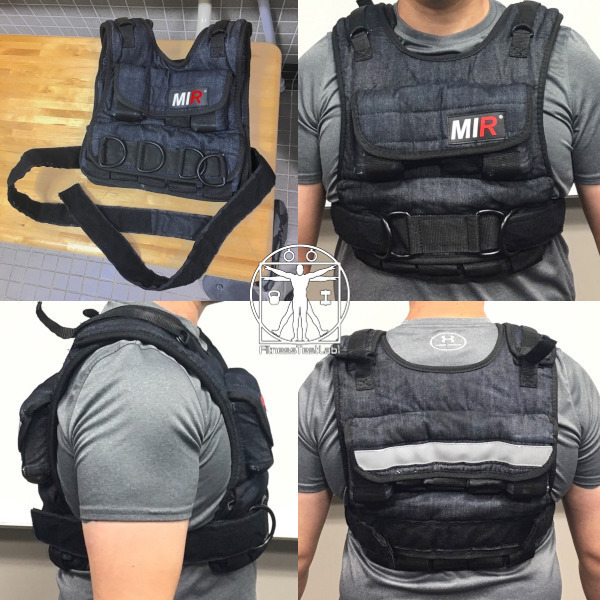 The MIR Air Flow Adjustable Weighted Vest would not be my first choice for a weight vest, but it does the job and can be loaded all the way up to 60lbs if needed. The MIR Air Flow Adjustable Weight Vest is a decent, if not great, option. The weight is easily adjustable, machine washable, and can hold up to 60lbs. I found the “brick” design to be hard to use for running or WODs that include jumping movements due to the weights bouncing around during these types of movements. The MIR vest also retains a lot of heat since it absorbs moisture rather than wicking it. 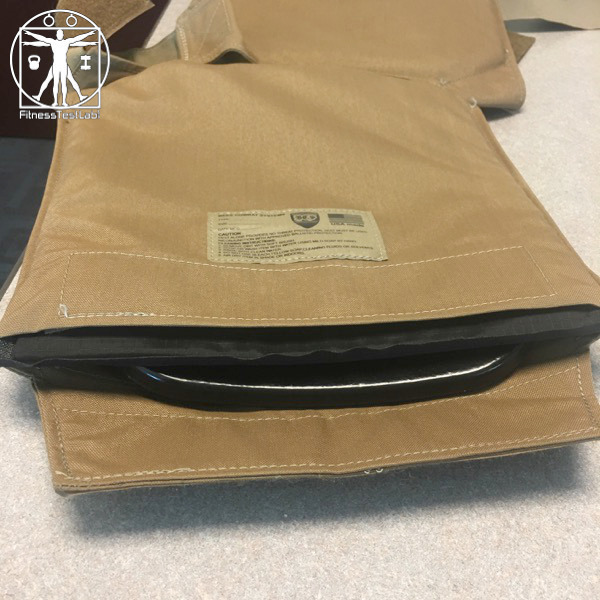 The CATI Armor Ergonomic Fitness Plates is 100% designed for tactical use by law enforcement and military, but the relatively low cost and wide availability have made it a popular option for use in weight vest training. The fit can be adjusted in four places to accommodate most body shapes, but smaller people might have a problem getting a good fit. The panels should be worn as high as possible to avoid sagging, but the shoulder pads could potentially limit the amount of adjustment that can be done to the panels. I had no issues, but I could see where short people might have to remove the padding to get a better fit. I found that it took some trial and error to get the shoulders adjusted just right for me, but once I got it dialed in I never had to mess with it again. The sides are secured with quick release buckles, so it’s very easy to quickly tighten or remove this vest. The shoulder straps and inside panels of the carriers are padded with a cushy mesh material, allowing for a very comfortable fit. I also like that there are velcro strips across the front and back that can be used for customizing the vest with hook-and-loop patches. The Condor Sentry stays very secure during movements, including running and jumping. The shoulder padding does inhibit overhead movement somewhat, but otherwise mobility in this vest is very good. Incidentally, this is a great weight vest to use for a WOD like Murph. I really like the Condor Sentry, I just wish it didn’t look so…tactical. I’m an engineer, not a veteran or a first responder, so I can’t help but feel like a bit of a poser when I wear it, more tacti-cool than tacti-cal. 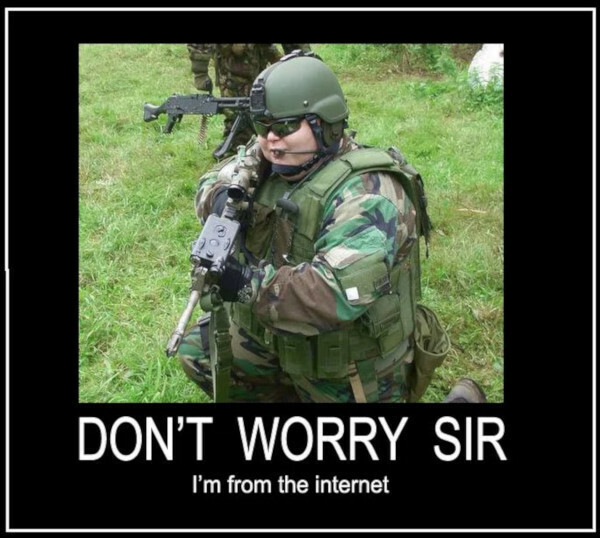 However, some people can really rock a tactical vest and look like a total badass, so if you’re one of those people, kudos to you! Discounting the funny looks from people as I run around my neighborhood in a tactical plate carrier, this is an awesome vest. 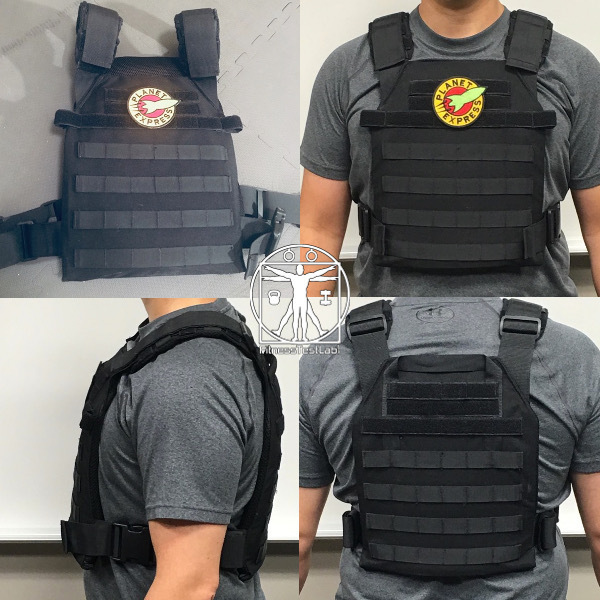 When combined with the CATI Armor Ergonomic Plates (covered below), the Condor Sentry Plate Carrier is second favorite weight vest option and my top pick for a budget weight vest. The Condor Sentry Plate Carrier is my second favorite weight vest option, especially when combined with the ergonomic plates from CATI Armor. This is one of the most affordable plate carriers I’ve seen, and once you get the fit dialed in it’s very comfortable. 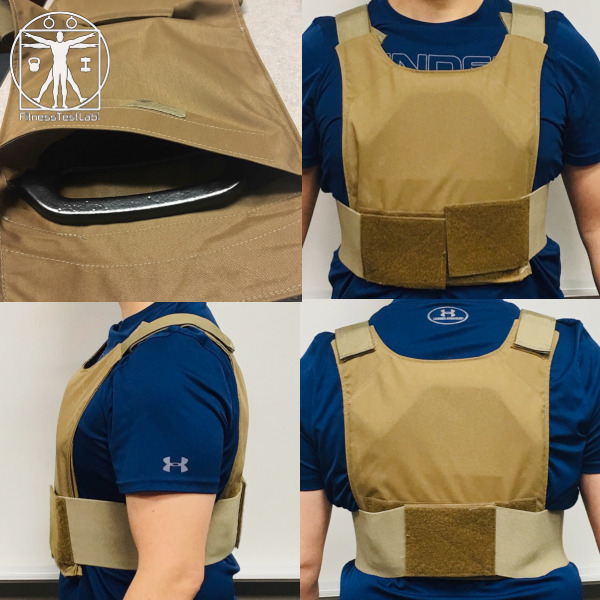 The BCS Extreme Lightweight Plate Carrier (ELPC for short) is designed to be a lightweight and low profile carrier, and I would say they’ve hit their mark. The ELPC is indeed light, and slim enough to be worn under loose clothing. The fit on the ELPC is adjusted using elastic straps and velcro. There’s literally only four pieces that make up the entire vest, so it’s fairly easy to make changes to get the fit just right. The elastic holds well, and the vest stays in place pretty well during runs and jumping exercises. This vest is very snug when used with ergonomic plates like the ones from CATI armor I cover below, and mobility is very good. The biggest downside to the BCS Extreme Lightweight Plate Carrier is a complete lack of padding. 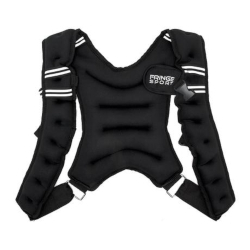 There’s no padding in the shoulders or on the panels, which keeps the carrier light and low profile, but can be hard on the shoulders and torso during intense exercise. If you do happen to buy this vest, you might consider buying some trauma pads to go inside the pockets with the plates. Not strictly necessary, but they do make this vest more comfortable to wear with heavy plates. 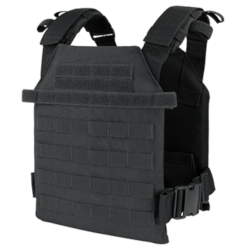 The BCS Extreme Lightweight Plate Carrier is a minimalist design that works well as a low profile weight vest option. The main draw for this type of vest is that it is lightweight and slim enough to be worn under loose clothing, so if that is an important factor for you then this is a good option. This vest can be used for any kind of workout, but the lack of any padding can be noticeable during long or intense workouts. CATI Armor Ergonomic Fitness Plates came onto my radar when I was researching options for this article. 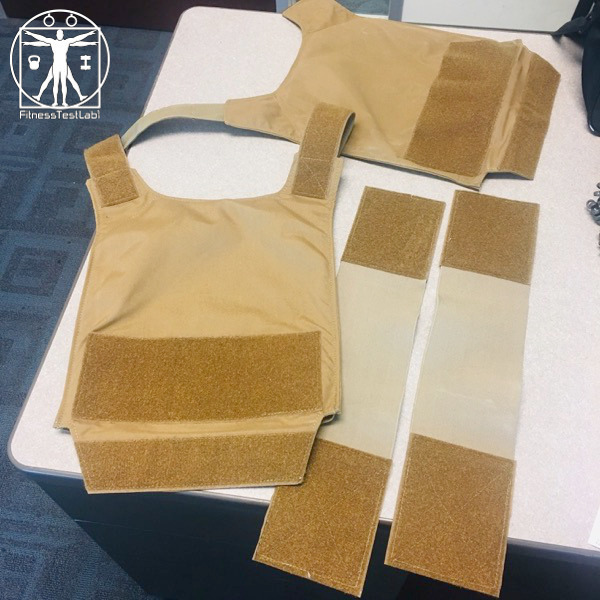 Unlike companies who are primarily fitness gear providers, CATI makes ballistic armor designed to be worn close to the body for long periods of time. As a result, they have lots of experience with ergonomics, so developing an ergonomic fitness plate was a natural extension. You might be wondering what I mean by an ‘ergonomic’ plate. Until very recently, most weight plates designed for fitness were flat slabs of metal (like the Fringe Sport plates covered below). Flat plates work okay for fitness purposes, but since they don’t conform to the body they tend to limit mobility of the wearer. The CATI Ergonomic Fitness Plates are different in that they are curved in multiple places to conform to your body, resulting in a more secure and snug fit. Take a look at the writeup I did for the Condor Sentry above for pictures of how they fit. Combined with the swimmer’s cut, these plates are hands down the best plate option for adding weight without restricting mobility. These plates are so good that I’m sure it’s just a matter of time before the broader fitness industry moves away from flat plates entirely and toward multi-curved plates. 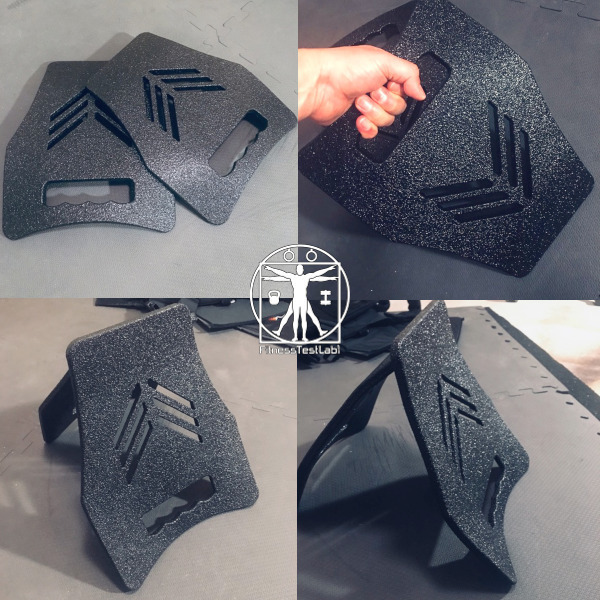 In fact, it’s already started – Rogue Fitness recently introduced their own curved plates (covered below), but they aren’t nearly as good as these CATI plates. If you happen to buy these plates, I suggest picking up a couple of trauma pads as well. 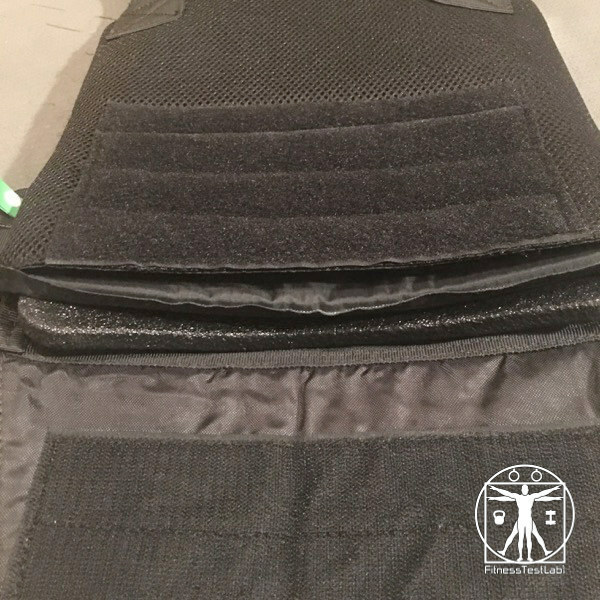 Trauma pads are basically extra padding that sits between the plate and the inside of your plate carrier, adding an extra layer of cushion. The biggest drawback to these plates is they only come in one weight option, 8.75lbs each. It would be nice if there were some lighter and heavier options available as well. Regardless, the CATI Ergonomic Fitness Plates are hands down my favorite plates for use with a plate carrier. Combined with the Condor Sentry, these plates are my top pick for a budget weight vest option and the size is perfect for CrossFit WODs like Murph. CATI Armor Ergonomic Fitness Plates are light years beyond any other fitness weight plate in terms of comfort, and the multi-curved swimmer’s cut design allows for excellent range of motion. 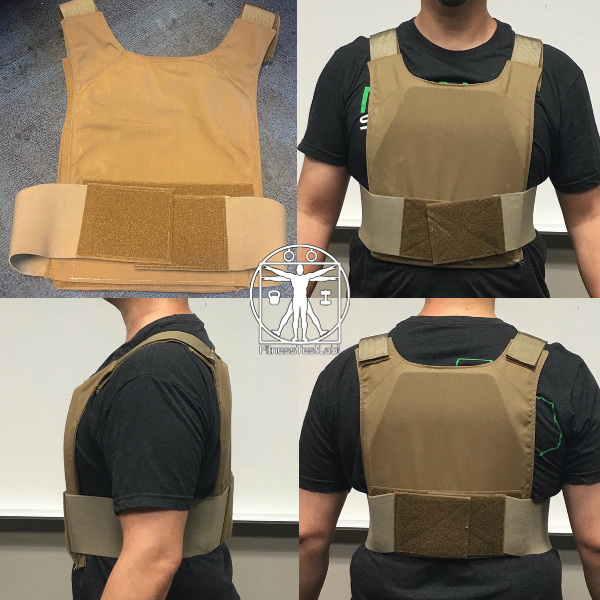 Combined with the Condor Sentry Plate Carrier, these plates are an awesome and affordable weight vest option for any type of workout. The Rogue USA Cast Weight Plates are Rogue’s answer to a long standing problem with fitness plates – flat plates that get the job done but aren’t comfortable and inhibit mobility. 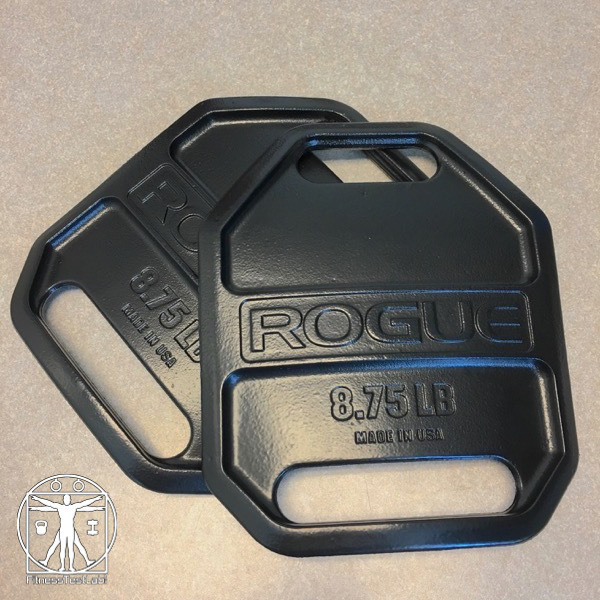 Rogue’s new line of multi-curved Weight Plates are definitely a step in the right direction. The Rogue USA Cast Weight Plates provide enough curve to be more comfortable than flat plates, and mobility in these plates is decent. My biggest grip with these plates is the sizing – for some reason Rogue made them smaller than a standard 10×12 size, which means they don’t fit snugly in either of the plate carriers I tested. This causes them to shift around inside the plate carrier sometimes during running or jumping movements. Despite their odd size and tendency to shift, they are still more comfortable than flat plates. 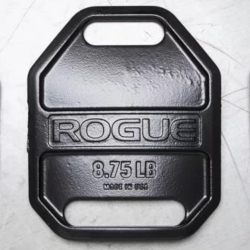 The Rogue USA Cast Weight Plates are a couple steps below the CATI Ergonomic Plates I covered above in terms of comfort and mobility, but I’m sure Rogue is still going to sell several boatloads of them. Rogue USA Cast Weight Plates are a decent multi-curved option, and a big improvement over flat plates. They have an oddball size that causes them to shift sometimes during intense movement, but otherwise work pretty well. 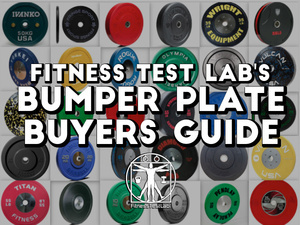 These plates come in three different weight options and can be used for any type of training. No review of weight vest options would be complete without a discussion of flat plates. 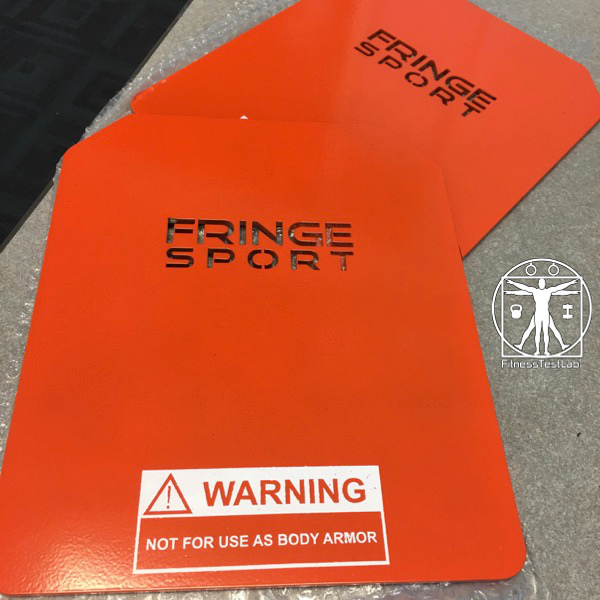 Several companies offer flat weight vest plates, I just so happened to test the Tactical Weight Vest Plates from Fringe Sport for this article. 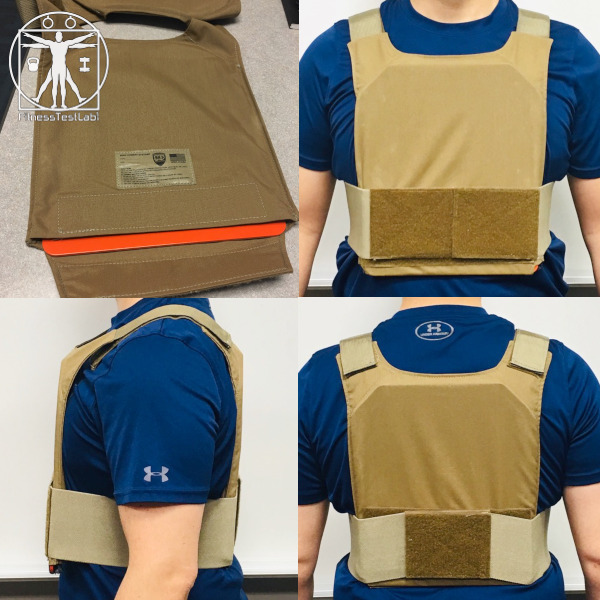 Flat plates have been the standard option for use with plate carriers for weight vest training for many years, and for good reason. They’re cheap(ish), durable, and they get the job done. However, getting the job done sometimes isn’t enough. Wearing the Fringe Sport Tactical Vest Weight Plates in a plate carrier feels like wearing a metal box, with about as much mobility as you’d expect from wearing a metal box. Movement in the Fringe Sport Weight Plates is just awkward, especially after having tested the more ergonomic options from CATI and Rogue. There’s only a few points of contact between your body and these plates, so it’s tricky to get a fit that stays secure during even moderate exercise. I found that my plate carrier had a tendency to shift around quite a bit when I was using these plates. I know people exercise with flat plates every day, it’s just hard to get excited about these when I know there are better options available. And I’m not trying to pick on Fringe Sport here, they just happened to be the flat plate option I tested. These points apply to any flat plate regardless of vendor. 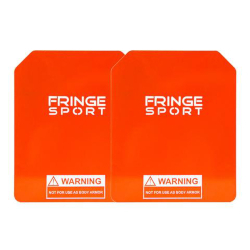 Fringe Sport Tactical Weight Vest Plates use the standard flat plate design that’s been around for years. They get the job done, but they aren’t very comfortable. The main benefit these plates have is that they are relatively inexpensive compared to the other options. If budget is the biggest factor you, a Condor Sentry and a pair of these plates would probably set you back about a hundred bucks. The list below documents other weight vest options I considered for inclusion, but ultimately decided against for various reasons. The 5.11 TacTec Plate Carrier is the standard for the CrossFit games and I’m sure it can stand up to abuse, but it’s also 4x the price of the Condor Sentry with very little benefit added for fitness purposes. I do plan to review this carrier at some point, I just had to draw the line somewhere to cut down on expenses for this article. The RUNmax Pro Weighted Vest is a popular option on Amazon and I thought about buying one until I started looking at customer photos of this vest in the Amazon reviews. The design looks big and bulky, not at all what I wanted in a weight vest. I decided to skip this one. 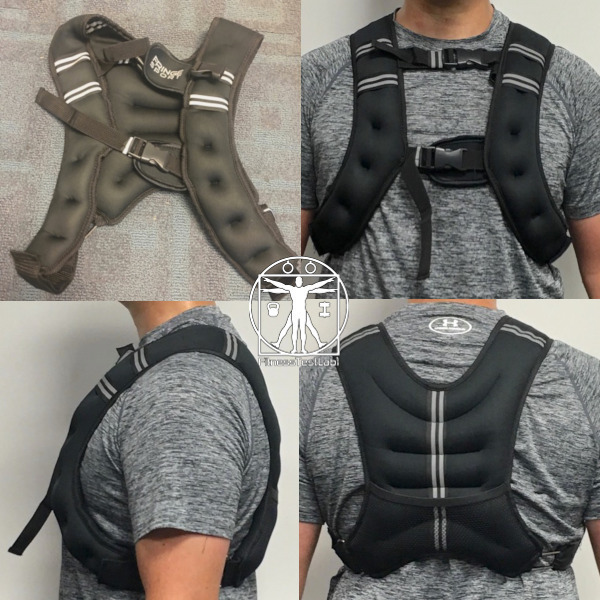 The BOX Weighted Vest seems to be a popular option with CrossFit athletes, but it was too similar to the MIR Air Flow I was already testing. I may test this vest in the future if I can find a good deal on one. Like I said at the beginning of this article, a weight vest is a great way to amp up your training without a huge investment in cash or storage space. 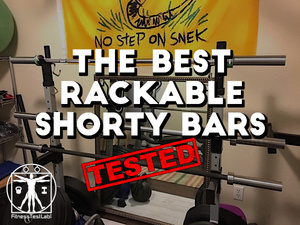 There are a lot of different options available, but only a few are truly versatile enough to be used for every kind of workout. 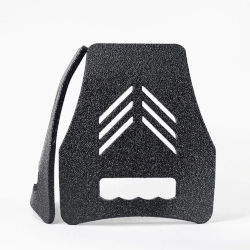 Whether you end up buying one of the options I tested or something else, make sure you know how you plan to use your vest and do as much research as possible before making a purchase. It’s the only way to be sure you don’t get stuck with a vest that doesn’t suit your needs. Do you have any questions I didn’t cover or suggestions for other vests you’d like to see tested? Drop me a line in the comments below!